Modern cast iron sculptures finished in aged black with a light texture and distressing and an elegant crystal foot. 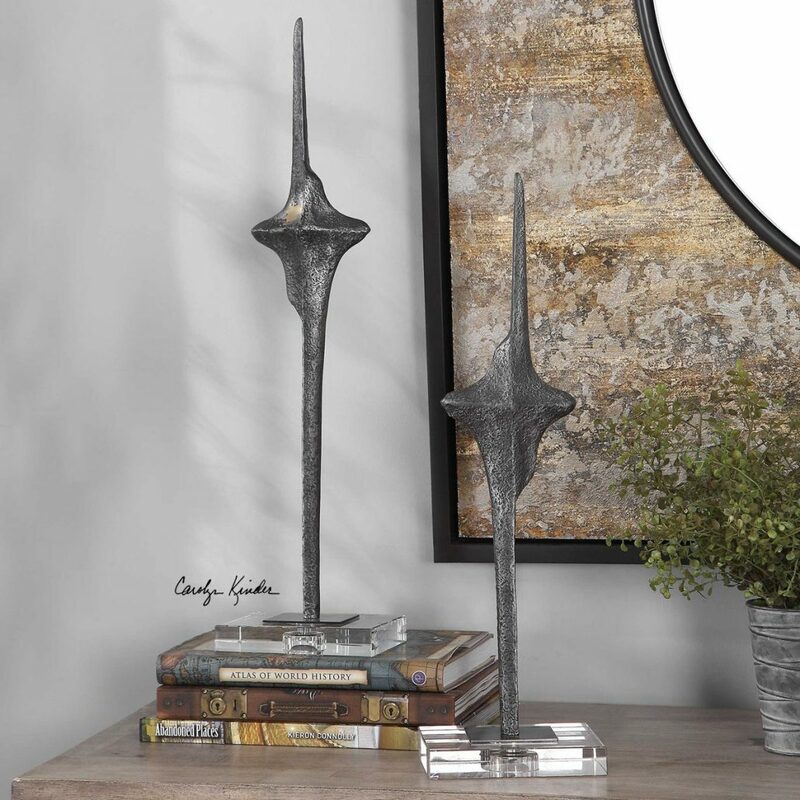 Designed by Carolyn Kinder International, these unique iron sculptures coordinate with the Otten Iron Cross Lamp. Part of the exclusive Revelation line, this lamp is available to trade professionals at Uttermost.com.